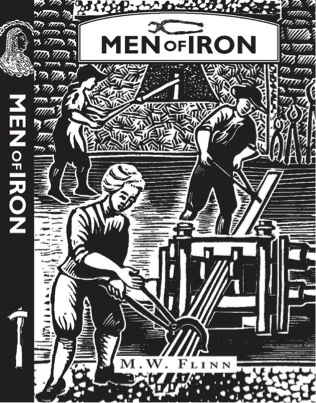 Men of Iron by M.W.Flinn is a definitive work about the early iron industry in the Durham Derwent Valley. Until the Land of Oak & Iron Project brought it to public attention, the fact that Winlaton, Winlaton Mill and Swalwell had been the site of the largest early ironworks in Europe was largely forgotten. The enlightened welfare system that Crowley created for his workers makes this a fascinating work of social as well as industrial history. A new paperback edition of this book, which has been out of print since 1962, has been produced by the Land of Oak & Iron. The launch event will take place at the Lit&Phil on Wednesday 13th March at 6.30, where Dr Bill Lancaster will give a talk and copies will be available at the special event price of £5.